is elated to Celebrate the Life of this visionary, a young woman that persevered until her vision came true. Devoted to the education of girls, this powerhouse achieved her success in building a school in her village; after growing up as a child having to walk the five miles to school, after a morning filled with daily chores. This woman is a pure inspiration and a true celebration for all the women of our world! 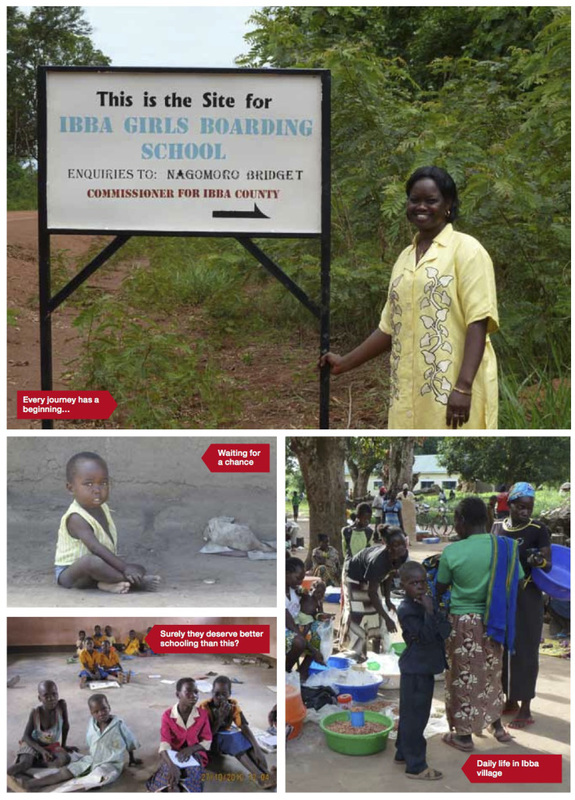 It was Commissioner Bridget Nagomoro who first dreamed of creating a residential school for girls in her home village of Ibba, in the county of the same name in South Sudan – a dream which is now being supported by the Friends of Ibba Girls School. She donated some family land for the school; Chief Severio also donated some land. Before construction could start recently on the first phase of building, affidavits for the transfer of the land to the School were needed. The signing was at a ceremony at the Commissioner’s office. 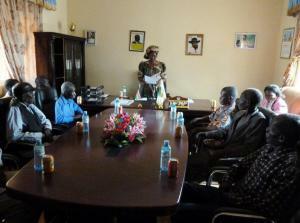 Bridget addressed the elders of Ibba about the project – some of them were formal witnesses to the signing. The Guardian wrote: Bridget Nagomoro used to get up at five in the morning to fetch water from the stream, cook breakfast for the family, then walk the five miles to school. In the evening, she would eat at 10pm having cooked dinner, done the household chores and completed her homework. 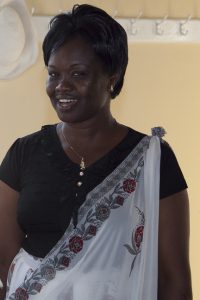 It’s a familiar routine for girls in South Sudan, but Nagomoro was a trailblazer. She was the first girl from Ibba county – a community of 90,000 people – in landlocked Western Equatoria state to finish primary school. Being the only girl at her school was hard. “Some of the boys used to threaten me because I got better results than them,” said Nagomoro last week during a visit to Britain. 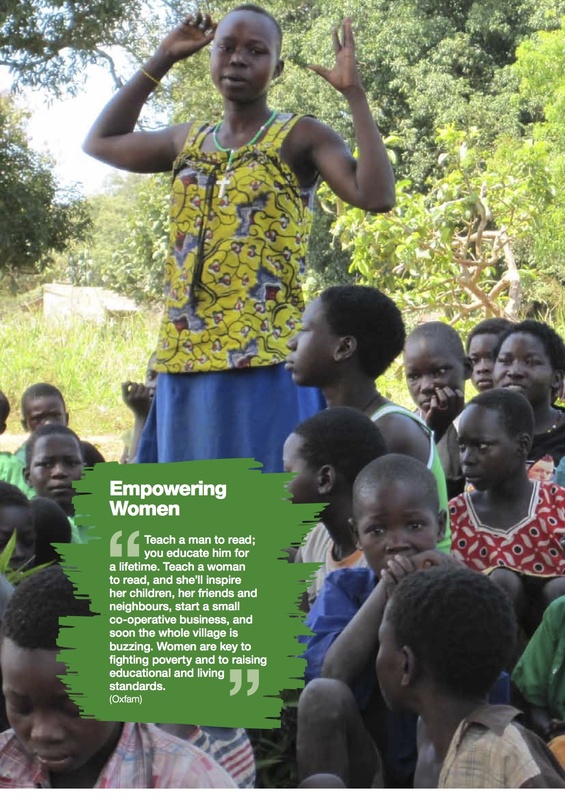 Now a local government commissioner in Ibba county, she wants to make it easier for girls to get an education by setting up a boarding school for girls aged 10 and above – the point at which most drop out because of the competing pressures from family, household chores, childcare and early pregnancy. Nagomoro has donated a large plot of land for the school and enlisted the support of local chiefs and elders. She has sought assistance from contacts in the UK, including Professor John Benington of Warwick University Business School, whom she met when he held workshops in South Sudan. 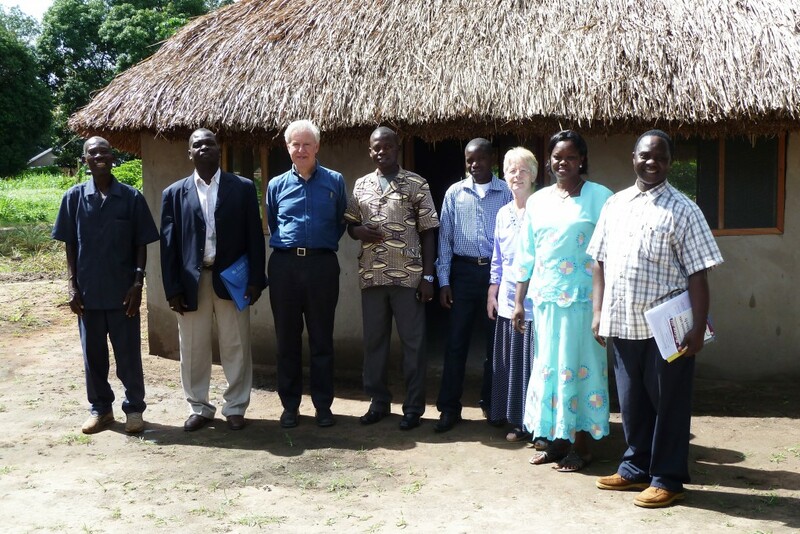 Nagomoro was in the UK with Pia Philip Michael, the state minister of education for Western Equatoria, to report to British supporters who are helping to raise money for the school through the Friends of Ibba Girls School, a UK-based charity. Also on the agenda was the enormous challenge to girls’ education after decades of civil war, continuing unrest and a refugee influx from the north. South Sudan, which became independent from Sudan in 2011, has one of the world’s worst indicators for education. A Unesco report from that year said there were more than 1.3 million primary school-age children out of school in the country, which is second-to-bottom in the world ranking for net enrolment in primary education and bottom of the world league table for enrollment in secondary education. The situation for girls is particularly dire. They are less likely to start school and more likely to drop out. A young girl in South Sudan is three times likelier to die in pregnancy or childbirth than to finish primary school, said the Unesco report. The shortage of teachers is acute; the ratio of pupils to qualified teachers averages 100:1, but is double that in some states. 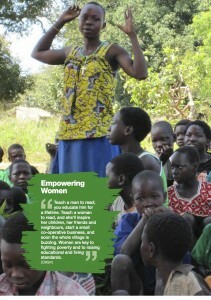 Only 12% of teachers are women, another factor discouraging girls from attending school. Another challenge is the lack of facilities. “80% of our schools are under trees and it rains nine months of the year,” said Pia. This poses problems for protecting textbooks, provided for primary schools by Britain’s Department for International Development (DfID) for the first time this year. Part of DfID’s aid programme is to support 2 million children in primary education by providing textbooks, building classrooms and offering education to children who drop out or start school late. Support for education is one thing, changing attitudes towards girls’ education another. It is against this backdrop that Nagomoro is pursuing what she calls her dream of creating a boarding school for girls that will, to some extent, insulate them from the pressures that force girls to drop out. Enough funding has been raised from UK supporters to clear and fence the site for the school, and to instal two solar-powered water boreholes, one for the village and one for the school. Building the first classrooms, toilets, kitchen and dining space is now under way; the plan is to open in February, with 40 10-year-olds. Nagomoro was fortunate that her parents believed strongly in the value of education, both for her and her four brothers. She went on to secondary school and served as a nun before studying for a degree in education and returning home. Further FIGS funding has allowed for the next stage of the construction work to commence. This comprises not only the classroom block, but also toilets, a kitchen, a solar and generator block and completion of the second solar powered water bore-hole. This is all to be completed in the targeted time of 4 months (March to June 2013). Our architect Malcolm Worby will be travelling to Ibba again on the 15th of April to inspect progress. Bridget Nagomoro(Chair), Bishop Wilson Kamani, Father Stephen Kumyangi, The Paramount Chief for Ibba; John Benington (representing the funders). Building Design and Architect: Malcolm Worby, Sustainable Building and Renewable Energy, South Africa. Building Project Manager and Contractor: Anisa Construction, Yambio. Education Advisers: Rev Pauline Walker, and the Education Teams of the Episcopal Church of Sudan, the Roman Catholic Church and the Government. In addition to the above meetings in London on Wed May 15, we have organised for Bridget and Pia a full programme of visits to schools, churches and local authorities, and meetings with Trusts and Foundations in Belfast, the Cotswolds, Coventry, Nottingham, and York – plus a private meeting at the House of Lords on May 22. Do contact us if you’d like more details. Our architect Malcolm visited Ibba again in mid March to supervise the next stage of the building programme for the school – the first classrooms, kitchen, toilets, solar and generator block. Malcolm sent us the following progress report from Ibba. His photos will be posted on the website as soon as possible. There are over 40 local people from Ibba working at the site under Anisa’s supervision, as part of the local community ‘skills training programme’ we planned at the start of the project. 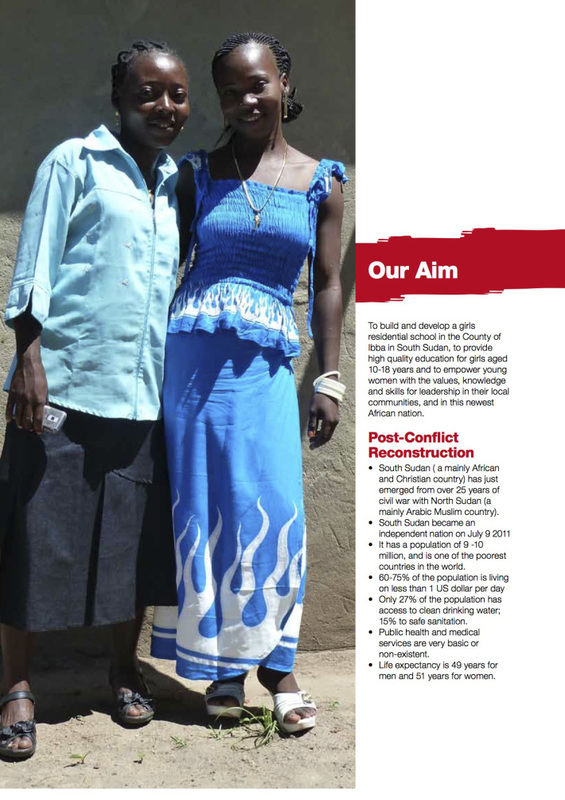 Over the next few months we aim to raise additional funding to build the dormitory block and teachers accommodation for the school, and to set up and train a Board of Governors for the school, to recruit the head-teacher and try to get the school open to its first 40 ten year old girls in Feb 2014. See our website for how much we need to raise and how to donate. Above all come and meet Bridget and the others from South Sudan to catch the vision for how to make a really worthwhile practical difference. 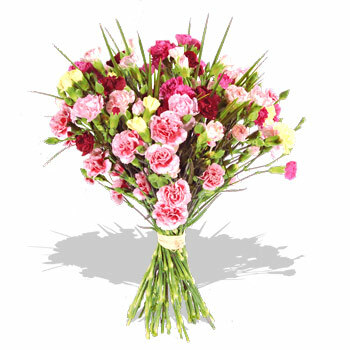 BACS transfer for the credit of Friends of Ibba Girls School, Co-operative Bank; account no 65525782; sort code 089299. Please add your name as reference. Please also sign the gift aid declaration form (click on the image below to download the form) if possible, as this will increase the value of your gift to us by 25%. If you are interested in getting involved please contact londonfigs@gmail.com to register your interest and find out more. welcome this visionary, and worker bee into our global Alumni with open arms, looking forward to many future collaborations bettering the lives of all women, and educating young women and children.